Media & Learning provides a platform to those responsible for creating, promoting and using media in the classroom, on and off campus as well as in training and lifelong learning centres. 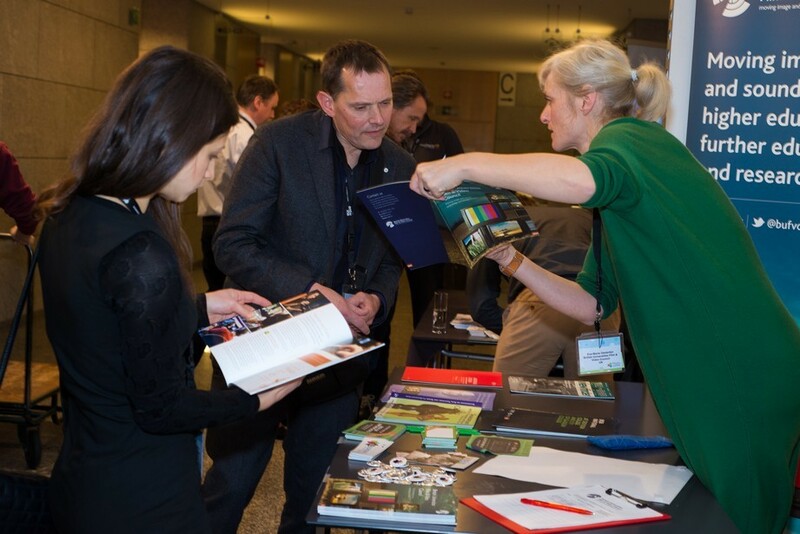 Headlined ‘From passive to active use of media in teaching and learning’, the aim 2014 conference – aptly hosted by the Flemish Ministry of Education in Brussels – was to promote the sharing of best-practice, exchange of know-how and hands-on amongst practitioners. With its clear call for action, it also gave policy-makers and decision-makers the opportunity to discuss how to develop digital and media literacy in the broader context of creativity, innovation and entrepreneurship and the value and impact of such skills in relation to the European work-force. The conference programme covered a wide variety of themes grouped around the topic of media education and literacy. 300 participants from 44 countries learned about the value of using video and new media in education and were able to dip into master classes on programming, data mining, creating media productions and educational games. As a freely accessible multilingual media resource, the EUscreen project effectively complemented the manifold European projects engaged in media and ICT-supported learning introduced over the two days. In the year that commemorates the centenary of the First World War, media-supported remembrance education represented a special conference highlight with showcases from Europeana, BBC , INA, the VIAA platform and the IWU Institut Film und Bild. All was wrapped up very glamourously with the MEDEA Awards ceremony, rewarding eight finalists for excellence in the production and pedagogical design of media-rich learning resources.